When you vape, most of what you inhale is a mix of propylene glycol and vegetable glycerine. PG and VG are the primary components of any e-liquid. They’re the liquids that create the clouds you see. They dilute the nicotine in an e-liquid. They also emulsify the ingredients and prevent you from needing to shake your bottles constantly to keep them mixed. Here at Euro Vape, we carry e-liquid optimized for use in our eGo e-cigarette kits. You can buy your e-liquid here knowing that it will work in your device. If you visit a local vape shop, though, you’ll see percentages and ratios explaining the amount of PG and VG in that shop’s e-liquids – and some of those e-liquids will not work well in your eGo e-cigarette. We’ll explain why. What Are Propylene Glycol and Vegetable Glycerine? PG and VG are common additives in foods, cosmetics and other products. Both are considered non-toxic and safe to eat. PG and VG both retain moisture, so they help to keep shelf-stable foods from going stale. They also emulsify ingredients that otherwise wouldn’t remain in suspension. VG has a sweet flavour, so some companies use it in their edible products as a sugar-free sweetener. PG and VG both inhibit the reproduction of some types of bacteria. How Does Propylene Glycol Affect an E-Liquid? How Does Vegetable Glycerine Affect an E-Liquid? What Is the Best VG/PG Ratio for My eGo E-Cigarette? Here at Euro Vape, we carry the famed LDN LIQ e-liquid brand. LDN LIQ uses a ratio of 70% VG and 30% PG. We feel that’s the ideal VG/PG ratio for an eGo e-cigarette because it’s thick enough to produce large, creamy vapour clouds and thin enough to flow through the small CE5 clearomizer with no dry hits. If you’d like to try an e-liquid with less than 70% VG, you’ll experience no problems – but the vapour clouds will be a bit thinner. 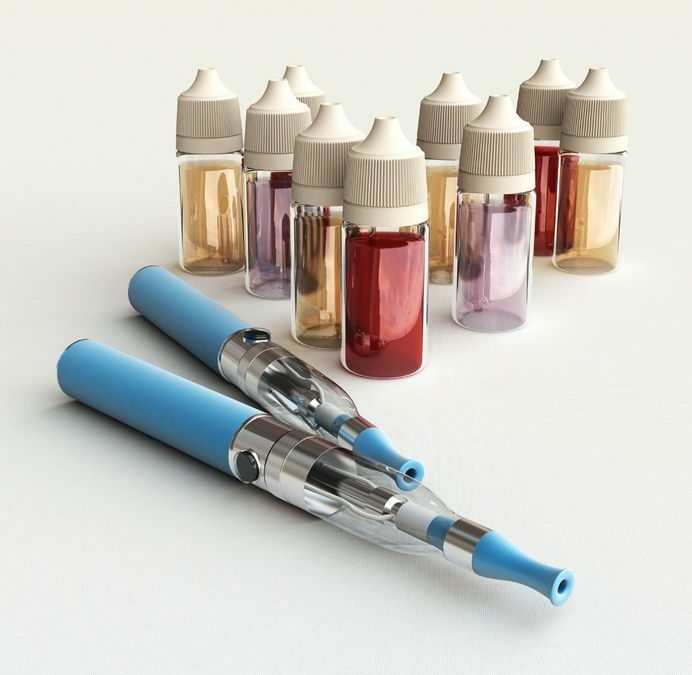 If you find an e-liquid at a local vape shop with more than 70% VG – the e-liquid bottle may display a term such as “High VG” or “Max VG” – you may experience poor wicking performance if you use the e-liquid in your eGo e-cigarette. Give the e-liquid plenty of time to saturate the atomizer coil by waiting several seconds after each puff.